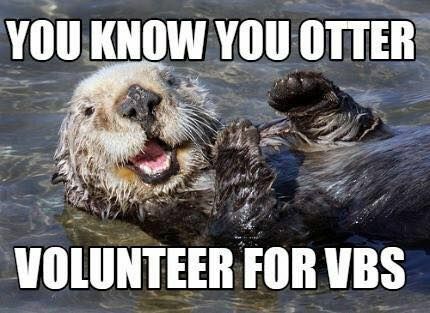 Mandatory meeting for all VBS volunteers. Curriculum will be handed out, decorations will be discussed, info about the day of will be given out. If you haven't signed up yet, you still can at this meeting!